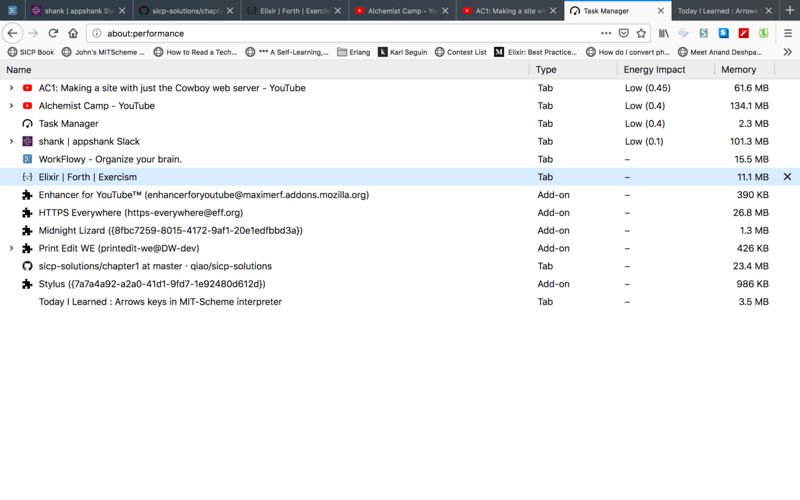 Today I Learned : Firefox - Which tab is using my CPU? Navigate to about:performance url. This will bring up the task manager for Firefox. Here is a screenshot showing this page.